With the country’s new leadership, opportunities to upgrade infrastructure in the energy, mining and road transport sector have made Zimbabwe an attractive destination for investors. Decades-long political instability, sanctions and a failing economy have seen a massive decline in Zimbabwe’s international appeal. Even as global investors turned their attention to Africa in 2015 and 2016, Zimbabwe managed to exclude itself from billions of dollars of investment over its tumultuous economic trajectory. But, the tide has turned and Zimbabwe appears to be in the Spring of life once again. 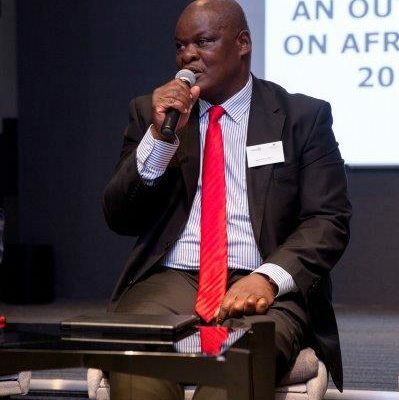 Sternford Moyo, LEX Africa’s member in Zimbabwe gave valuable insight into the private equity market in the southern African country, at a seminar held in Johannesburg, entitled An Outlook on Africa 2018. Mr. Moyo described Zimbabwe as a place with enormous opportunity for private equity investors. He said while it was common knowledge that the country’s “infrastructure is broken” the upside is that there is room for rehabilitation and smart investors would capitalise on it. In August, Zimbabwe Energy Regulatory Authority (Zera) said the country could only meet 75 percent of its electricity requirements and that at least 60 percent of the country’s population had no access to power. The country currently requires an estimated 1,600 MW of power, but only produces approximately 1,000 MW. The deficit is imported mainly from South Africa and Mozambique. According to the Chronicle, industry experts project that Zimbabwe needs about USD 12 billion to fix the deficit and meet future needs. On the mining front, Mr. Moyo said private equity investors could interpret the country’s flooded and unexplored mines as an opportunity to get in the untapped market of mineral potential. Mr. Moyo echoed Mr. Mlambo’s sentiments. “We have several flooded mines at the moment, that one could capitalise on. [The mines] have not been properly worked with proper equipment and proper technology. The whole of Zimbabwe is a huge gold mine,” said Mr. Moyo figuratively speaking. 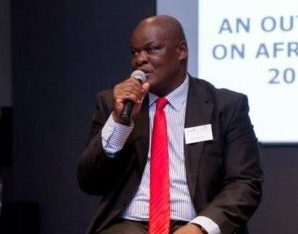 In February, mines minister Winston Chitando said: “The country hosts some of the world’s largest lithium deposits.” He said Bikita Minerals in the Masvingo province and the Arcadia Lithium project in Goromonzi were just two examples of successful projects. Among the reforms would be the replacement of a policy that limits foreign ownership in mining to 49 percent. With the exclusion of diamond and platinum mining — where government or its entities must hold a majority stake — foreign ownership in the mining of other minerals is proposed to be amended to 100 percent. According to African News Agency, Zimbabwe’s mining sector is a cornerstone of the economy, accounting for over 13 percent of the gross domestic product and more than 60 percent of its export earnings. Other than gold, diamonds and lithium, Zimbabwe also boasts large reserves of nickel, chrome and both thermal and coking coal, the second largest platinum group metals resource in the world. The sector attracts more than half of the foreign direct into the country, and employs more than 45,000 people directly. In 2015, Ritesh Anand, a London-based economist, fund manager and columnist wrote that the African Development Bank estimated Zimbabwe’s monetary need for infrastructure development alone at over USD 14.2 billion. “Such investments require long-term capital, which is best suited to private equity,” he said. Mr. Moyo said it was unfortunate that only a few private equity investors had seen the potential in Zimbabwe. Takura, Spear Capital and, as of October 2017, Vakayi Capital are just a few of the private equity companies that have entered Zimbabwe’s market. Vakayi Capital is a venture capital firm that has funded Homelux Property Development to build residential stands in Tynwald, Harare. Said Mr. Moyo: “We also have pension funds which are quite active in private equity. Even some of the listed companies have been active in the private equity space because of the fewer players that are found in our country.